Relive the classic Disney movie Pete's Dragon with the Pete's Dragon Little Golden Book! Disney's classic story of an orphan and his pet dragon will be sure to delight all. 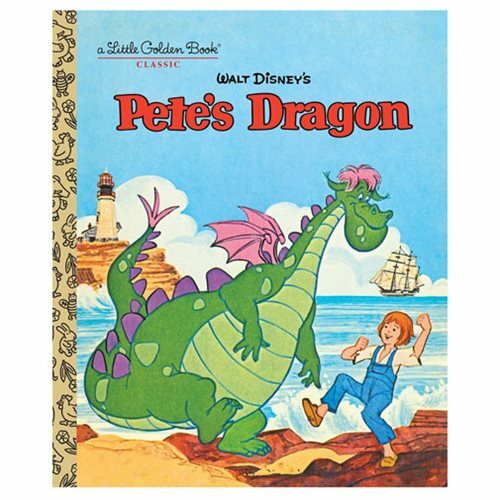 This Little Golden Book retells the story of Disney Pete's Dragon that was first published in 1977. The 24 page book measures about 8-inches tall x 6 3/5-inches wide. Ages 2-5.